QuickBooks Payroll helps business owners manage their payroll more efficiently through a convenient and easy-to-use solution that works within QuickBooks financial software. 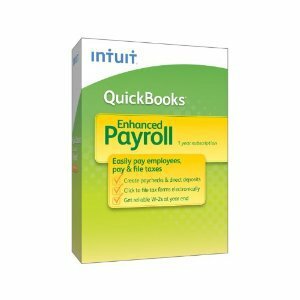 Need Help with QuickBooks Payroll? Winged Disc Technologies provides all levels of assistance with QuickBooks Payroll. Every employee is unique–and now their paychecks can be, too. Flexible pay types and deductions make it easy to adjust hourly and salaried wages, time off, healthcare, retirement, garnishments, and more. Fast and free 24-hor direct deposit for employees and contractors lets you submit payroll when you’re ready, so you can keep funds a bit longer. Every week? Every other week? On an agreed upon schedule, just calculate your employees’ wages, withhold the correct amount of taxes & issue their paycheck. You will need to pay the government the Federal & State taxes withheld from your employees’ paychecks — as well as payroll taxes your business owes. Let’s face it. Forms are frustrating. But you’re required to fill & file them, so the government knows who’s been paid what, the taxes paid, & other details. Most businesses file quarterly; and some file monthly or yearly. Hours. Wages. Withholding. Taxes. Health care benefits. Getting all those calculations right gets complicated. Fortunately you have software and service options to help. It’s your responsibility to keep up with Federal & State tax deadlines. You can do it at the IRS website. Or use QuickBooks payroll product that automatically sends you reminders when taxes are due.